Although Élisabeth-Sophie Chéron is remembered today as a painter, she was in fact a true Renaissance woman, acclaimed in her lifetime as a gifted poet, musician, artist, and academicienne. As a child, she was trained by her father in the arts of enamelling and miniature painting. Under the sponsorship of the influential artist Charles Le Brun, in 1672 she was admitted to the Académie Royale of Paris as a portrait painter. She exhibited regularly at the Salon, at the same time producing poetry and translations. She was fluent in Hebrew, Greek, and Latin. 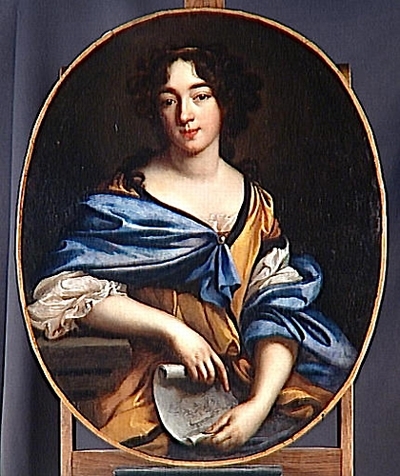 Chéron’s literary talent was recognized in 1694 when she was named a member of the Accademia dei Ricovrati, in Padua, and given the academician name of Erato, after the muse of lyric and love poetry. In 1692, she married Jacques Le Hay, the king’s engineer, after which she was known as Madame Le Hay.